Blue Strider is doing great. We just call him Blue which is nice because our two year old twin boys can say that word. He seems very happy with them and our two other dogs, both Weimeriners. He's a good dog and we really enjoy his company. 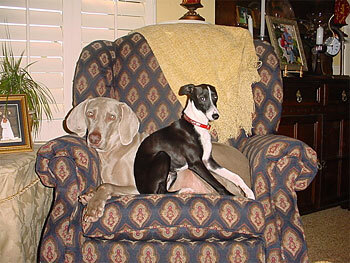 I'm attaching a picture of him with our female Weim, Lady.